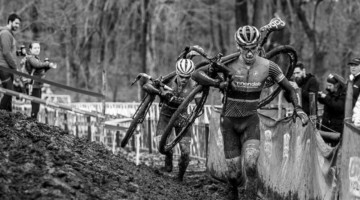 Our look at bikes from the 2016 Cyclocross World Championships continues with what eagle-eyed readers will notice are photos of Stephen Hyde’s silver medal bike from the 2016 USA Cycling Cyclocross National Championships. 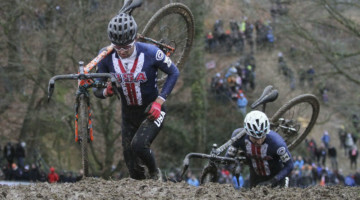 Hyde was part of the three-way battle in the Men’s Elite race in Asheville and went toe-to-toe with Jeremy Powers until the closing moments of the race. 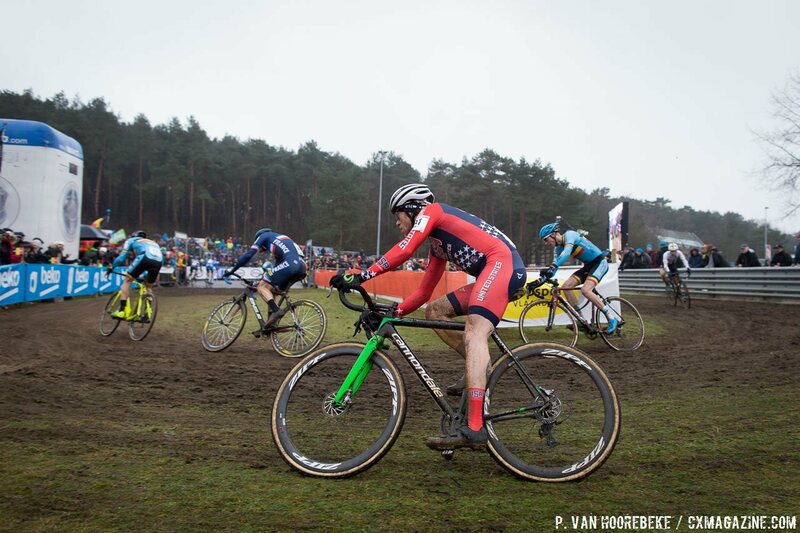 Thereafter, a ride at Hoogerheide for the final World Cup of the season saw Hyde finish 33rd. And this past weekend, at Worlds, Hyde had an amazingly fast start to ride into the top ten and would go on to finish 23rd. 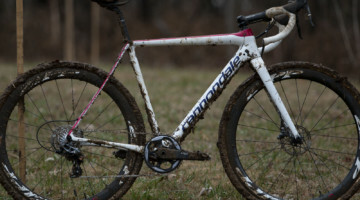 Today we’re looking at his bike, the Cannondale Super-X. 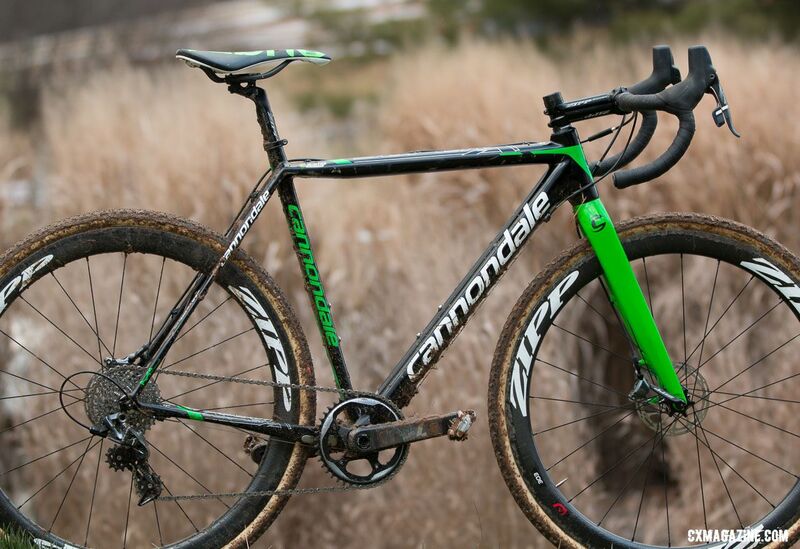 Cannondale’s Super-X is a series of cyclocross bikes offered in range of specs with two different carbon frame offerings, a high modulus one and the standard carbon frameset. Hyde’s bike is the hi-mod offering. 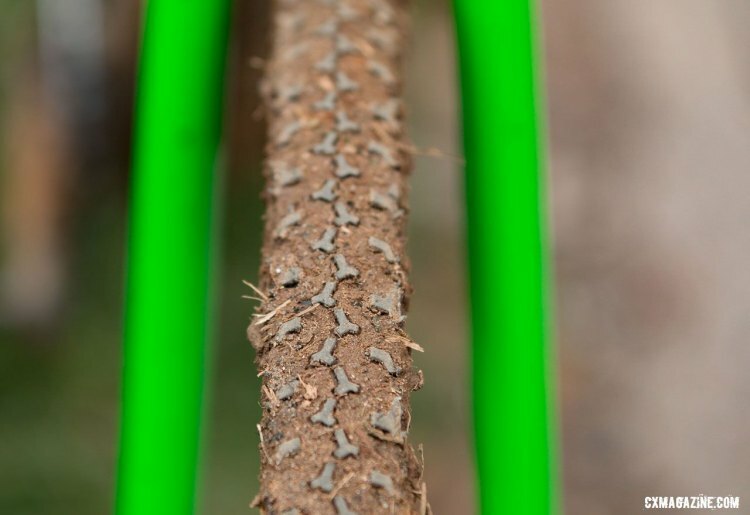 The frame and fork are made of Cannondale’s BallisTec carbon and features disc brake mounts, now standard on all of Cannondale’s cyclocross offerings. While it’s built around a stock bike, Hyde’s race bike has some modifications to suit his personal preferences. Hyde’s drivetrain is a SRAM Force 1 set-up. 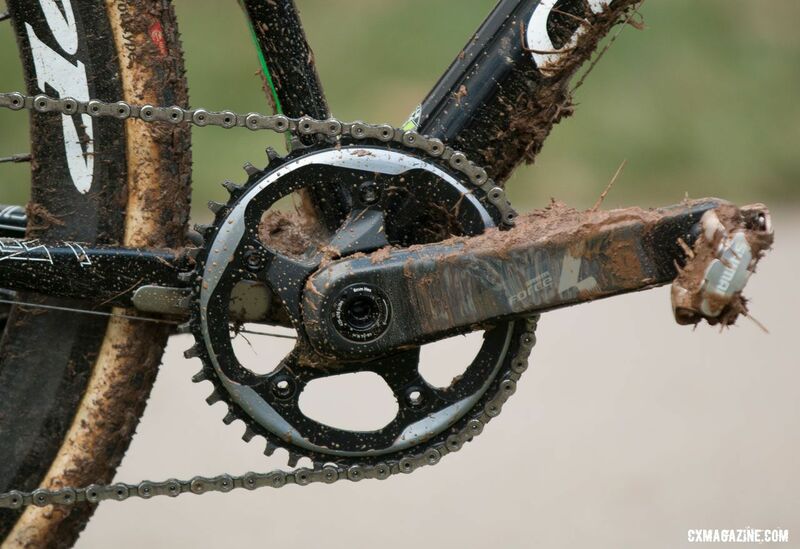 For Nationals, Hyde ran a 42 tooth front chainring, while at Worlds he opted for a taller gear and went with a 44 tooth ring. 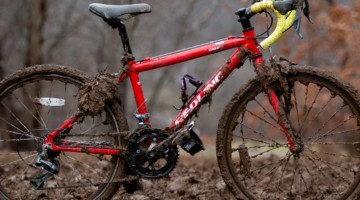 On both occasions he paired the chainring with an 11-32 cassette. 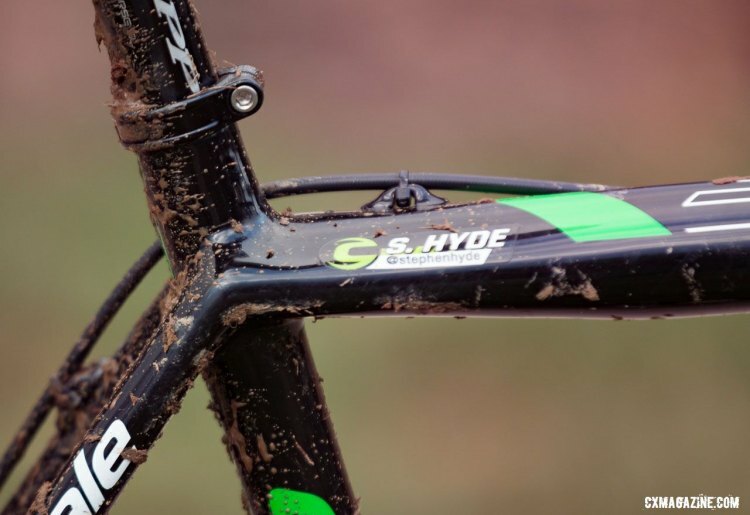 As a SRAM-sponsored rider with the Cannondale p/b Cyclocrossworld.com team, Hyde’s bike stops on SRAM’s Force hydraulic brakes. Hyde’s cockpit is mostly comprised of Zipp Service Course SL bits, including the seatpost, bars and stem. One personal touch is the use of a saddle from Fabric, spec’d in team colors, of course. Hyde and his teammates roll on Zipp wheels and Hyde’s bike features the venerable 303 tubular. For Nationals, Hyde, along with some others, were on prototype Baby Limus tires with a new rubber compound, Challenge Tires’ Chris Clinton told Cyclocross Magazine . 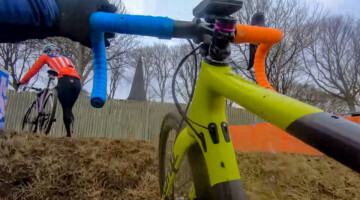 For the muddy conditions he saw at Worlds in Zolder, Hyde went with the Limus/Grifo combination front and rear, Team Edition versions. Be sure to check out our post-Worlds video interview with Hyde, here, where he talks a bit about his tire choice and his Worlds ride.